Confidence is the fuel for success! Philip Keil has experienced, how essential (for survival) concrete strategies are in challenging situations. 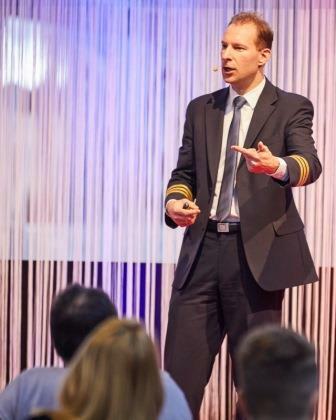 In this enthralling keynote, the pilot opens the cockpit door for his audience. What actually happens, when an emergency case requires immediate action? How do we manage to unfold our full potential under pressure? Colorful and exciting Philip Keil transfers his expert knowledge to the turbulent daily business life of his “passengers”. Fasten your seat belt!